Today everyone is thinking of building a "Startup Business". It is a plan or creative thought that flashes in one's mind and the implementation is the Startup. People nowadays have the most wonderful ideas that give the audience or the end users a great help. Social Media Platforms like Facebook, have already started giving opportunities to enhance the business plan model from paper to reality. One such platform that Facebook gives is FBStart. This post is to make visitors of this blog know the details of the platform as to how to use it for gaining more visibility and support from the Social Media Giant, Facebook. FBStart is a global platform that allows businessmen to build and grow their businesses. It helps in monetizing mobile applications. Launched a few years back, people or businessmen have made their businesses give a kickstart and get more visibility using FBStart. There are success stories of those business people who have used this platform. Globally, your business gets expanded and known to users. There are three types of tracks that FBStart accelerates. To get the benefits of the FBStart platform, founder of the startup or the businessman has to apply for the FBStart program. Once accepted by the team of developers, the features and tools provided by FBStart team will grow your business. Let's see what are the features of each track. Bootstrap Track is for newly launched startups. The newly launched startups need an audience to know about your business services or products. Technical support, Tools for growth and Global community to gain the bigger audience. For Bootstrap member, FBstartup offers below tools for their growth. AngelList: It is the world's largest platform for raising money and funds. A startup can use this tool by posting on the AngelList job board. Animoto: Today videos, animated videos, explainer videos have become famous as to it gets more visibility to the business model. FBStart offers this tool to create professional and share-worthy videos for FREE for 6 months and later with a 50% discount. Balsamiq: Create a mobile application for free for 6 months with free access to Balsamiq tools. Docsend: Yet another tool offered by FBStart Bootstrap track to send highly professional documents for up to 10 people to improve marketing, business development, etc with real-time document analytics for 6 months. Facebook: $500 Facebook Ad credits to promote a mobile app or Messenger Bot for 6 months. You will get Technical related support from Facebook Team for reviewing mobile app, platform policies, etc which is non-expiring. Namecheap: Get your mobile app presence with one free Postive SSL and one free Premium DNS from Namecheap for 12 months. Proto.io: Create prototypes that feel real for 1 user - 5 projects.for 3 months. It is the platforms' Freelancer plan that is for 1 user. Stripe: Creates a good payment experience for your user. Transfix: You can use this tool to collect, translate and deliver digital content on your mobile app in multiple languages. This helps in growing internationally. For Accelerate Track users on FBStart, below is the additional tool inclusive of the above tools. Twillo: $5000 credits towards Twillo services. There is another track - Social Good Track. This track is for those who are social good developers, NGOs, non-profits, etc who work hard for their causes. FBStart has helped new startups to build their business, expand their business to the next level, helping in gaining more popularity. Today whenever we open a web page and want to login or create an account, the page or platform asks for login using Google or Facebook, etc. This means the users may opt for using their basic Google or Facebook accounts to have a new account created in the mobile app. If you are about to bring a new startup into existence and want to spread its wings to the larger audience, then get the FBStart working for your startup. Businesses today need an online presence. It is the Digital World. If you want to find an audience to buy products or services form you then you need a key that will open the doors to visitors. The visitors need to be nurtured and brought to the final stage of buying your services or products. People are making huge returns by using online marketing techniques and social media. What are you waiting for? Facebook is a great platform for grabbing your targetted audience and advertise your services or products. With the monthly users of 1.23 billion globally, one cannot think of expanding any business or achieve the target. Facebook is the first and most loved Social Media Platform in the Online Marketing field, where you can find the audience and target them with by creating Facebook Ads. If you own a small business, then Facebook is your new best friend. It not only builds an online presence but also promotes brand loyalty and turn the awareness into sales. Hence you get an audience with a customer base who first become your brand visitors and later your potential buyers and customers. Why Facebook for Small Business? A very interesting and useful question for you to know why Facebook is so important for small business owners. Well, it's only the platform where the Global users are more than 400 million and yet counting. Facebook Ads: Using Facebook you can create campaigns and target your audience according to age, gender, likes, location, language, etc. This will grow your audience base and who will get information about timely offers or events or giveaways, etc. Facebook Groups: Best way to reach a targetted audience is creating Groups. Facebook Page: To showcase your business, its services or products, you get a powerful tool, and that is Facebook Page. Using this tool you can create a professional page, a shopping store, etc. The page displays the details of your products and services. People who are looking for services or products you provide, then your page will be displayed in the list of other pages. Facebook Search: The search option at the top will search for people, pages, groups, and many more. Facebook Marketplace: Here you can buy or sell to your local community. Facebook Events: Organizing events? Do it online using Facebook Events. Inform the readers the details of the event which you are organizing targetting location wise. Facebook Contests: Run a contest on your Facebook page. This will increase page visibility resulting in more customers and sales. HootSuite : The most powerful tool for marketers for managing many social networks, building brands, etc. Here you can schedule posts, track performance, engage with customers, analyse things for better performance, etc. Mailchimp: A great tool for getting Email Subscribers which you can use for promoting stuff through email and share directly to their email. Once you grab a database of email subscribers, you can send promotional offers, events, share discounts, etc to your subscribers. These email subscribers are potential visitors who would become buyers later. Facebook Creative Shop: A perfect place for brand makers for their businesses. The Facebook Creative Shop is basically a team of brand makers who build killer ideas to help clients flourish their businesses. You can create ads according to your goals. The goals may be anything from brand awareness, traffic, lead generation, engagement, increase sales, messages, etc. Facebook Blueprint: One who is new to Facebook Marketing and wants to learn the techniques that really work, then Facebook Blueprint is one such option. It is an e-learning platform where you can learn latest trends in Facebook Marketing. Mostly covered topics include Facebook Terminology, A/B testing, Best practices for creating successful campaigns, etc. You will get certified by Facebook. Facebook Integrated Inbox: If you want to get all messages of your business using Facebook Messenger, Instagram accounts, and manage your Facebook business profile all in one place then Integrated Inbox will help you in it. Hashtags: A very powerful tool that spreads across the visitors is a keyword using hashtags(#). It is simply a word or a group of words included with the hashtag sign. For example #FacebookTricks is a keyword with the hashtag. Why hashtags are important? It's because of the growing demand for search options in Facebook for a particular word or a group of words describing the post. Audience Insights: This gives a detailed information about your audience like age, gender, location, likes or interests, etc. Using this reports you can drive more visitors or customers and engage them. Landing Page: You can create a professional looking Landing Pages for your business. It showcases your professional services or products you are selling. This is the primary way that you can grab the new audience and nurture them to sell them if they are interested. For small business owners who have just started using social media or are yet to design how to use Facebook for small business, then you have come to the right place and right post. Best things come if your product or services provide value to visitors or customers. Setting just goals and working for hours on your business will not work if you don't have a proper guidance on how to make profits and build a strong relationship with your customers. Stepwise execution of marketing is necessary. The latest techniques, latest tools and how to optimize the marketing strategies, etc play an important role in building a successful brand online using Facebook. Starting using Facebook is easier but yet tricky for business owners to create, build, spreading the business, grabbing the audience who are interested, nurturing them with their interests, selling at the right time using Ads, etc. Learn how to do all of the above by going through "Facebook Marketing For Small Business" . Get real-life success stories who have used the strategies shown in this book. So you can also use them accordingly and succeed. It is a handy guide for those new business owners or entrepreneurs who want to create their own style of advertising online using Facebook Marketing Strategies. People who have bought this book are happily enjoying their business grow online using Facebook. Grab this book and create your own unique style of advertising and marketing online using Facebook. Facebook always has a new feature to present and surprise its users everytime. Lovely yet useful feature added this time is the "Video Chat " feature for Facebook Messenger Lite users. 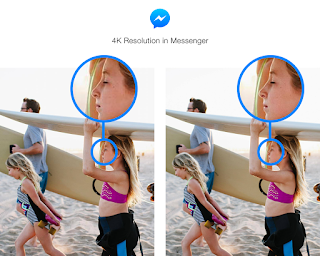 The same feel of video chat that people experienced in Facebook Messenger. Now stay connected with your family and friends with this feature turned on. People who are using an older version of Android devices will have the greatest gift. 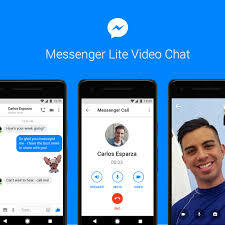 As Messenger Lite is for slower internet and if someone still has an older version of Android then Video chat feature will work smoothly unquestionably. Messenger Lite has helped people get connected by sharing their messages, files, etc. You must have used Facebook Messenger App which had the free calling feature included from the app itself. Update your app. Just make sure that you have the latest version of the app. So you are few steps away from just a video call to your friend. The Tagging Feature in Facebook is not a new tool for Facebook users. Till now we all have experienced the "TAG" feature while sharing images or status updates or videos on Facebook. Facebook always tries to engage and surprise their users with a new set of tools for their benefits which are user-friendly. You all have used tagging in different categories like tagging in videos or tagging friends in status updates, etc. If you remember I have also stated in one of my posts that Facebook has started a new way to recognize an individual.That's Facial Recognition Database which will store all profile photos in their system.Now Facebook has a new option to manage your identity. A new tool or you may call it as a new technology to manage your identity on Facebook. Now you can manage your identity using this feature called "Face Recognition Technology"
Introduced recently, this tool or feature lets you tag yourself in the photos or videos that you are not tagged in. A simple ON/OFF setting in your account settings and the Face Recognition Technology or feature is set for you to use. When you are a part of the video or an image and if you are not tagged, then Facebook informs you to tag or untag yourself. This technology also helps people with visual impairments. For example, if an image is posted by a friend of a visually impaired person, then because of Face Recognition Technology, the visually impaired person will be notified about the details of the image, like when the image was posted, at what time, what is the comment and who all are appearing in the image. Check out the following video to get more details. As the social media giant is growing older, its popularity is increasing day by day. This is not because of just sharing images or chats or posts, but also due to some important and useful launches that were announced this year 2015. 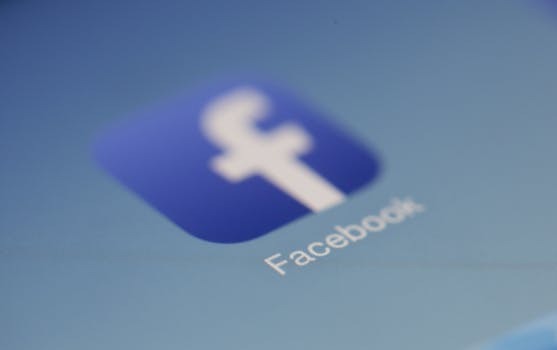 Facebook, has made its users the platform of connecting with their social friends and relatives with some interesting features like posting, images, chatting, groups, etc. It has made platform useful not only for them but also for businessmen to increase their visitors online. Who has forgotten the way called "fan pages" or professional fan pages which will add value to their business by showing their brand to the online audience. This post is a summary of some new launches by Facebook in 2015. 1. Wit.ai: Yes, you guessed right. It is a tool that turns human speech into action. This was introduced in January 2015. Wit.ai is a speech recognition tool that grabs the human speech and converts into a real time action. 2. 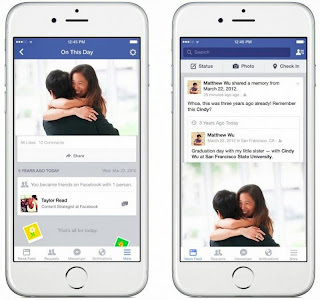 On This day: Another feature called "On this day" made debut for taking a loot at the past memories in Facebook. If a user wants to know what he posted on his wall or what he liked on a particular day, he would get the details using this feature. 3. 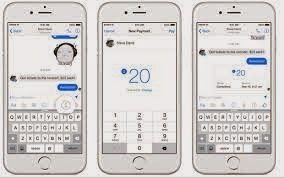 Pay your friends via Messenger App : An excellent way to pay money via this feature via Messenger App for iOS or Android users. Messenger is just not a way to chat but some important things like paying someone can be made very easily via Messenger app. 4. "Hello" App : Similar to "Truecaller", a new feature or app launched by Facebook to identify the caller details whether it is fake or genuine. The callers identity will be displayed even if that caller is not from your mobile contacts but in your Facebook friends list. 5. Video Calling feature: A sweet surprise for Messenger app users. Facebook introduced the video calling feature. The icon of video calling will be displayed at the top of the app. Some interesting features that made Facebook users go crazy this year. Using these latest features, people will enjoy Messenger apps, identify callers' identity, pay their money online to someone, etc. Facebook's sweet surprise for Messenger users-"Video calling feature"
Facebook recently added a new feature for Messenger users. It is "video calling" feature. This feature is added for all app users, whether it is Android or iOS. This feature is free for all app users and the main advantage of it is video calling can be done from Android user to iOS user and vice versa. Messenger app will now show the video calling icon at the top of the app. Check it, select the friend of your choice and tap on the video calling icon at the top and that's it. Enjoy the latest feature by Facebook.